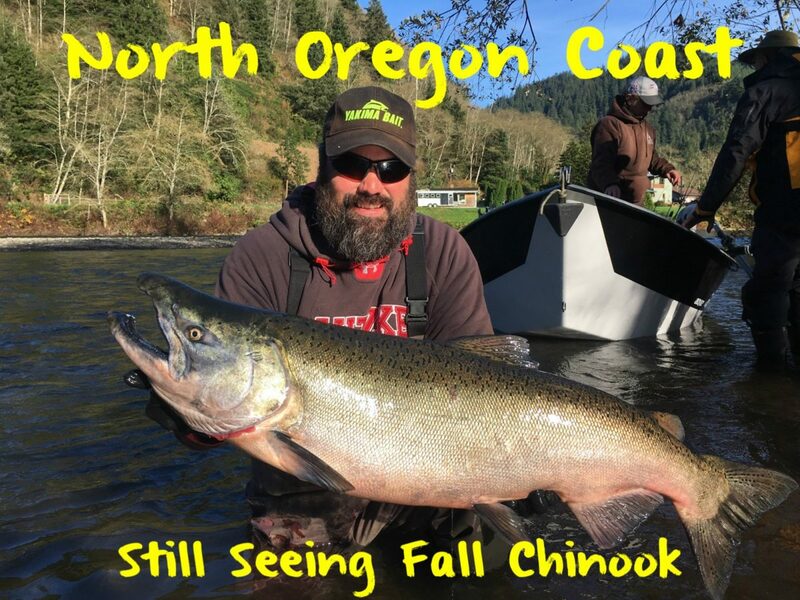 When I think about this fall’s salmon season on Oregon’s north coast two things come to mind: we had lots of rain and a big push of fish early and there’s still salmon coming in now. It’s been much different than last fall when rain didn’t arrive until much later in the season. We had a lot of early rain this year, not necessarily huge blowouts, but enough rain to bring our rivers up and get salmon in our systems. In fact, we had a fair number of salmon (and water) in the rivers by October 10. The last couple of years I didn’t get a drift boat in until early November. This fall, I’ve been in the river since mid October, which is early for us, and almost a month earlier than last year. Because there was a lot of water a lot of the salmon went up the system earlier. The fishing was very good. Meanwhile, we are coming off a blow out right now. There’s still plenty of fish around, but much of the run has come through. A lot of guys think the run is over and it has slowed down for sure, but it’s not over. It’s not go out to the wood pile and get your firewood. It’s go into the forest and find wood. The big wads of fish aren’t around, but we are getting fresh fish daily. We have fresh fish trickling in, but are having to work harder for them. I still think there are fish coming, but not massive wads. More salmon will continue to come in through mid December. 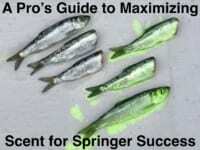 This scenario is the same on all coastal rivers on the north coast and anybody that salmon fishes knows where that is. The overall size of the run is about average. This year a lot of fish made it high up into the system because there’s been so much water. Since mid October they’ve been able to go up to spawning areas, which is good for our future. Right now we have some colored fish and some brighter fish. Today as the rivers come back into shape we’ll know a lot more about the remainder of the run. Most people have gone away from fishing in the tidewater and the bay, but in November and December anglers still catch salmon in those areas. Truth be told, salmon are spread from the ocean to the upper reaches of our rivers, but they are traveling through the bay quick this time of year and pressure is minimal in the bays. I’ll be fishing the rivers for the rest of the season. I’m mostly back-bouncing and running bobbers and eggs. I’ve been doing a lot of egg fishing and I’m running my standard tuna/egg and sand shrimp combos. The recipe for this was covered in one of my other blogs and can be found below. I’ve also been using my sperm sack egg cures, which you can see in this video. 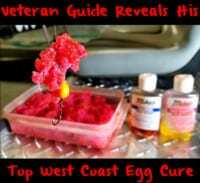 The eggs that have been working the best for me this fall have been mixing Red Fire Cure and Red Fire Brine when the water is clear. However, when the water is dirty I’m mixing Orange Fire Cure & Orange BorX O Fire with a little Red Fire Brine. Those that know me know I also run some plugs. When I pull plugs I’ve been curing my tuna in Red Fire Brine and adding Fire Power. Editor’s Note: Big Dave Manners is a well-known fishing guide in the Northwest. For more information on his guided salmon trips please visit www.bigdavesfishing.com or www.wilsonriverlodge.com.